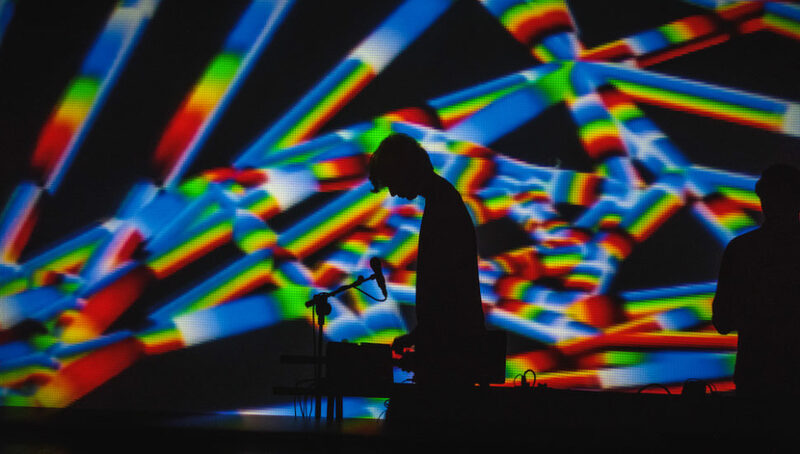 The seventh edition of Portugal’s Semibreve festival saw performances from Gas, Karen Gwyer, Rabih Beaini, Lawrence English and more. 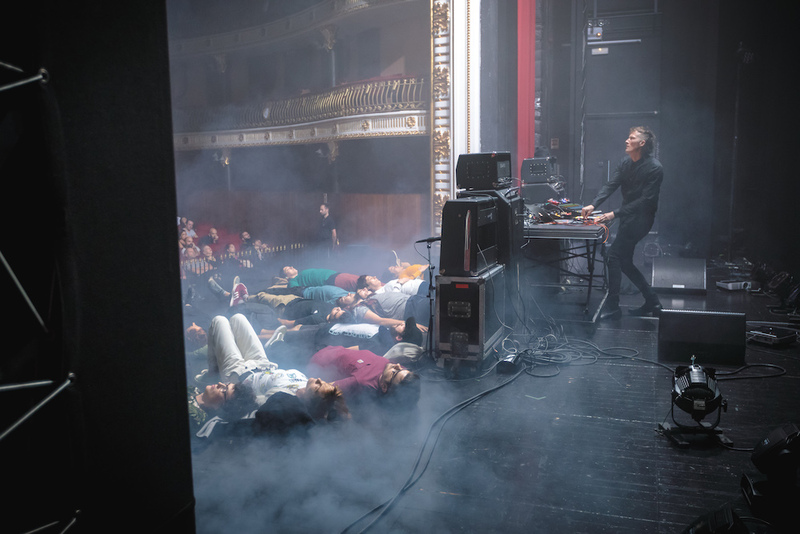 April Clare Welsh headed down to Braga for a relaxed experimental music festival with a radical streak; a festival that asks its audience for complete focus. With performances from some of the ambient canon’s most acclaimed legends and starriest newcomers, including Wolfgang Voight and Steve Hauschildt, this year’s Semibreve festival nurtured similar ideas about the purpose of the beatless phenomenon, drawing up a connective tissue of concepts and history, including instant composition, relational listening, electroacoustics, musique concrete and music as meditation. Platforming the avant-garde element of electronic music, the 2017 lineup brought Semibreve’s compositional namesake to life with a weekend of largely drone or adjacent acts whose resonant sounds flooded the four chosen venues to great effect. I was battling a virus on the first day of the festival, but by the Monday surprisingly left feeling revived. There’s certainly something to be said about the healing potential of drone music – but the Iberian sunshine may have helped too. Semibreve is located in the picturesque northern town of Braga and temperatures last weekend peaked at 31 degrees – quite unusual for this time of year, but happily received nonetheless. With over four dozen churches across the city, Braga is one of Portugal’s most sacred destinations. This devotional spirit added to the mood of quiet reflection, while the recent wave of wildfires, that last month left 49 people dead in northern Portugal and northwestern Spain, also brought a mournful air to the proceedings. Add to this the constant chiming of bells and the minimal nature of the programming, and you’ve got a fairly sober festival, but one with a staunchly radical streak. 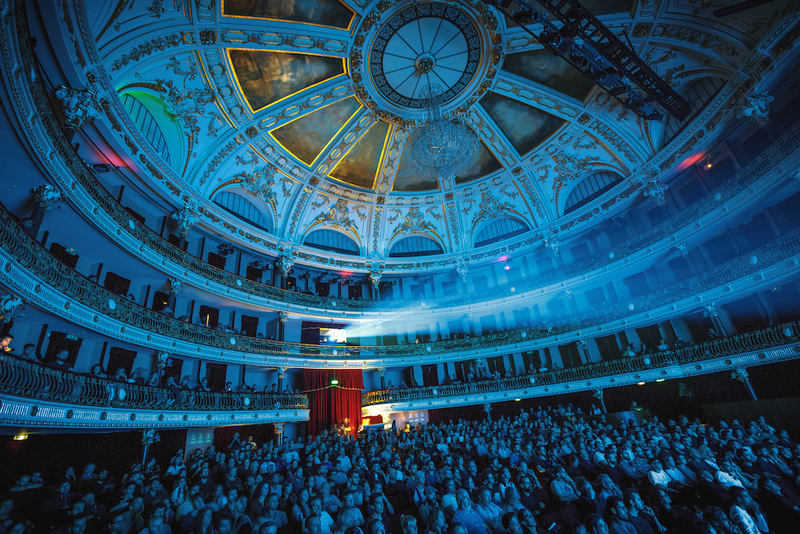 Semibreve’s first performance of 2017 came from FACT favorites Visible Cloaks, who performed in the majestic setting of the Theatro Circo on the Friday night. The Portland duo brought their Oneohtrix Point Never-esque “fourth world music” to life with the help of images from artist Brenna Murphy, while the pair’s vibraphone and wind synth added a human element to their often artificial sound. 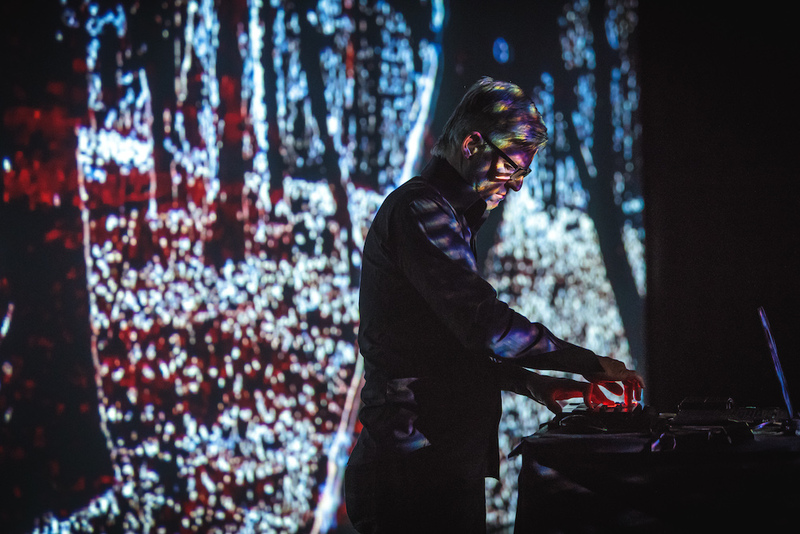 Almost in direct opposition to Visible Cloaks’ lysergic paradise, Wolfgang Voigt’s set as Gas journeyed into a 3D digital forest with tall trees blocking out the sunlight and a Twin Peaks level of eerie isolation. Earlier this year, the Kompakt boss released his first record as Gas in over two decades; Narkopop was inspired by childhood forest walks and Voigt’s live visuals certainly helped to capture a childish sense of wonder, also hinting at the psychedelics he later took there as a teenager. Despite his lattice of overlapping drones, bass pulses and synth flourishes pertaining to the classical, Voight still left plenty of space for the listener to ruminate, exiting the stage with a peace sign that doubled down on the set’s meditative weight. 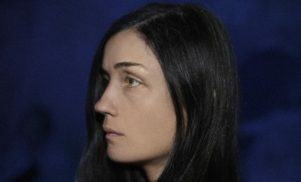 Argentine electroacoustic pioneer Beatriz Ferreyra was one of the festival’s standout performers, playing on the Friday night in the pitch-black of the Theatro Circo’s smaller auditorium. 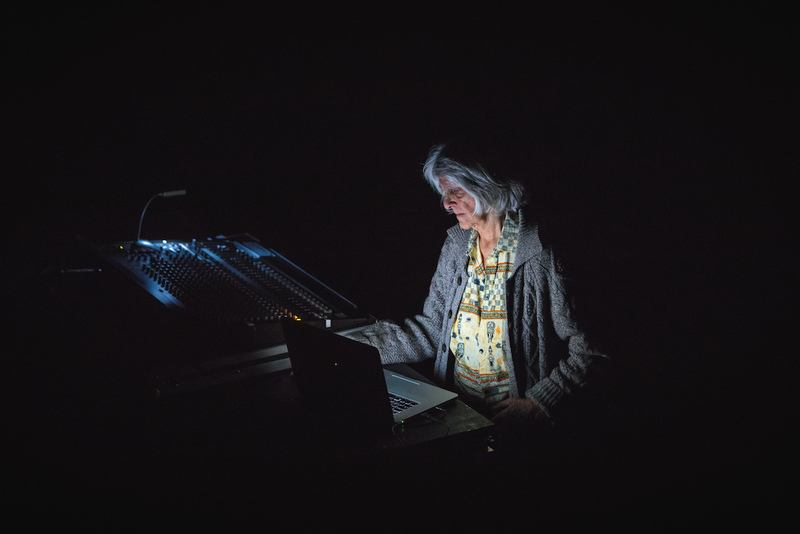 Using a laptop and an 8-channel sound system, the legendary composer presented three pieces to the audience that were individual testaments to her love of unusual sounds. A harrowing piece inspired by the Tibetan Book of the Dead took the form of abstract noise in much the same way as contemporary deconstructed club music, but with elements that reverberated around the box-like auditorium. Ferreyra was able to provide some insight into her aesthetic the following afternoon during a relaxed talk in the sun-dappled garden of radical bookshop Casa Rolão. A droll and dry communicator, she touched on what it’s like to operate in a “world of sounds,” considering her work with the godfather of sampling Pierre Schaeffer, and placed emphasis on the idea of “feeling” sounds with your body, as opposed to looking with your eyes when reading music. 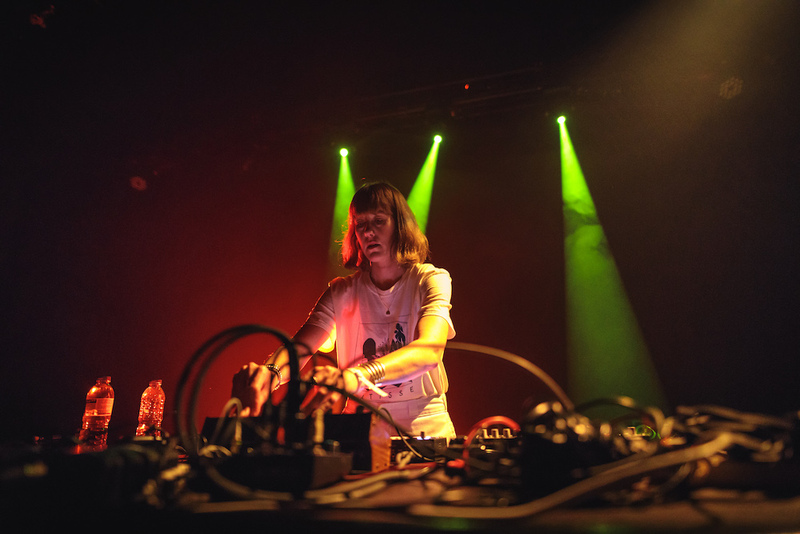 Later on the Friday, Karen Gwyer dusted off her analog rig for a wavy set of acid-spun techno at Braga’s two-floored GNRation complex, giving the 2am crowd a beat to hang off, while Rabih Beaini brought his unmistakable Roland TR-808 drum machine to the club the following night for an improvised set of raw, noise-flecked compositions. 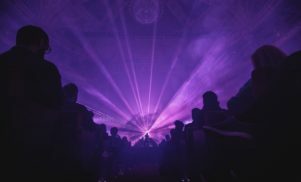 The Morphine Records founder was followed that night by party-starters Sabre – a new Portuguese duo made up of Bruno Silva and Carlos Nascimento – who sent the largely homegrown crowd into a frenzy with their battered acid techno, which is still reportedly a work-in-progress. Over the course of the weekend, multi-purpose arts center GNRation and the Theatro Circo were also host to a number of installations that explored the relationship between sound and image, with notable highlights including Japanese artist Ryoichi Kurokawa’s science-focussed AV piece ad/ab Atom – which is exhibited in Braga until December 31 and is part of the ongoing Scale Travels project – and a Laurie Spiegel installation showcasing her new score for the video piece Maya Deren: Prelude to Generating a Dream Palette by Peter Schmideg. Ex-Emeralds synthesist Steve Hauschildt performed in the austerely sublime environs of the Immaculate Chapel of the Seminary of Our Lady of Conception on the Saturday afternoon. Beginning with a MIDI controller and a small synth, his lush, new age-inspired, arpeggio-rich set tapped into last year’s excellent Strands album, with the absence of visuals commanding a trance-like state – some audience members even chose to close their eyes during the performance. 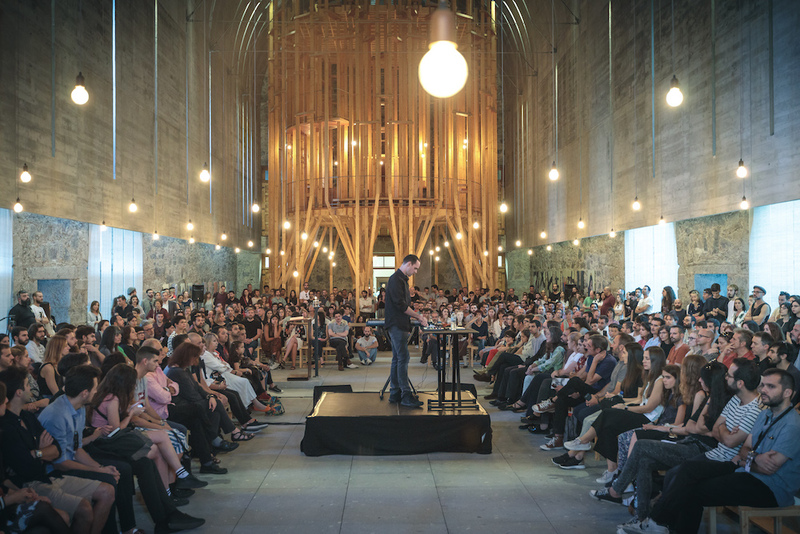 At one point, the Aphex Twin-esque dreamscape of ‘Time We Have’ seemed to float up towards the ceiling of the building, purpose-built for devotional music; even a child’s scream couldn’t break the audience’s intense concentration. Elsewhere, sets from Deathprod and Valgeir Sigurðsson both echoed David Toop’s suggestions about ambient music’s relationship to “the disturbing undertow of the environment.” Deathprod took the quiet/loud potential of composition to ear-bleeding levels of white noise on the Saturday, while lacing his aesthetic with sonar beeps and strobe lights for a gothic set of high-drama that made for uncomfortable, rather than meditative listening. Accompanied by viola da gamba player Liam Byrne, Sunday’s festival closer Valgeir Sigurðsson opened his set with an interview snippet from a Russian volcanologist on the importance of shortwave radio, while his deep-freeze soundscape paddled through underwater hums, low-frequency drones and orchestral swells for a restorative end to a festival that celebrated music’s often powerful grasp on the mind. The acts at this year’s Semibreve may have had conflicting ideas about electronic music, but the immersive nature of their sets ensured a level of harmony that was deeply palpable throughout. April Clare Welsh is a news writer at FACT. She is on Twitter.